The Zoo Around You | GetLitt! 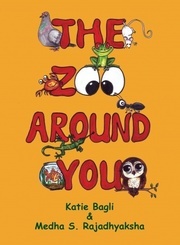 This book brings to light the variety of animals that live around us all the time, even in us! Have you ever wondered how it would be if there were no creatures at all around and about us? A world only of people? That wouldn't be very pleasant, would it? 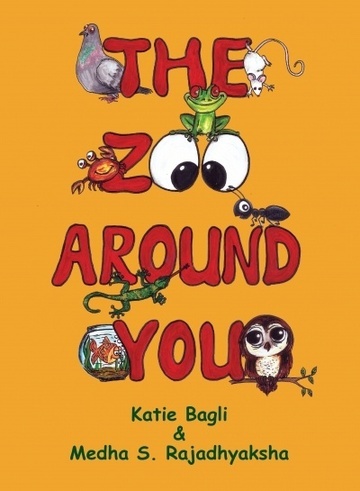 Well, read on to enter and enjoy these poems about the various zoos around us and the amusing creatures it houses! The book was surely interesting, talking about all the creatures around us, but it would have been even more fun if the stanzas of the poems would have been of equal length. I also think the poems should have rhymed more. I was happy that all the fun facts were true, otherwise I keep correcting them.